Acoustic Frontiers is very happy to announce the immediate availability of Vicoustic‘s lineup in the USA! 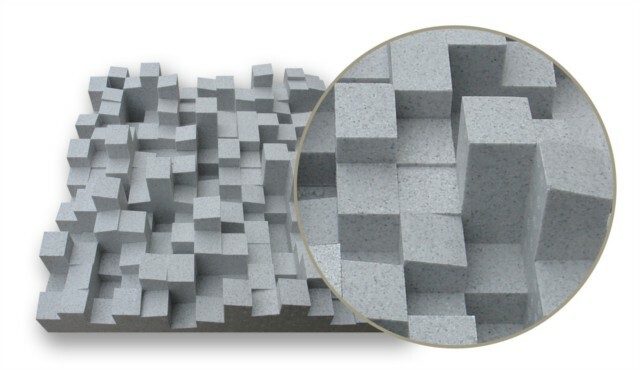 Vicoustic manufacture a wide range of acoustic treatment including absorbers, diffusors and combination absorber / diffusors. A lot of their products include real wood with a number of different finishes. We think they look great and could easily work in a multi-purpose family room as well as adding some architectural interest to a dedicated listening or home theater space. Vicoustic’s diffusor line up is perhaps the best in the business. They make both 1D and 2D diffusors. A 1D scatters sound in only one plane – either horizontal or vertical whereas a 2D scatters sound in two planes. Vicoustic MultiFuser DC2 – a 2’x2′, 6″ deep, 2D QRD diffusor. The DC2 is basically a RPG Skyline at 1/3rd of the cost! 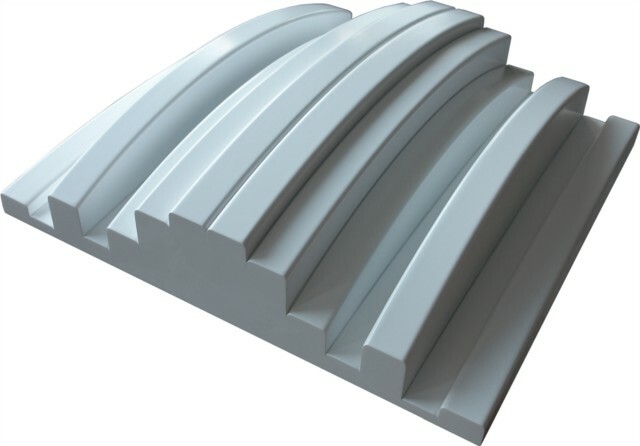 Perfect for ceiling use in large arrays and towards the rear of the room. 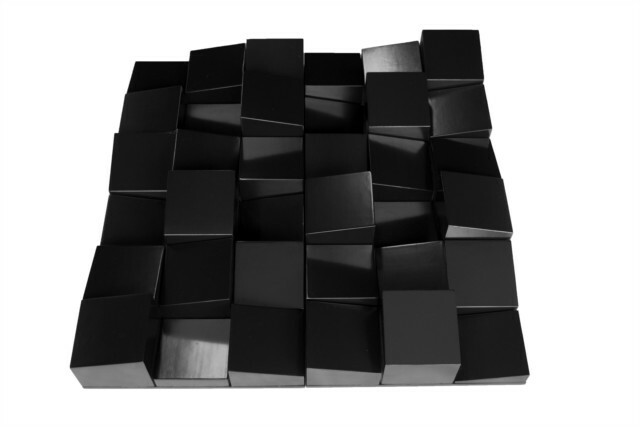 Vicoustic Trap Fuser – a 2’x2′, 6″ deep, 1D QRD diffusor. This comes in two 2’x1′ parts which allows individual sections to be rotated allowing creation of very large diffusion arrays without downsides. The benefit of a 1D unit is that the sound energy can be kept in the lateral plane when placed on a wall rather than scattering it up to the ceiling or floor. 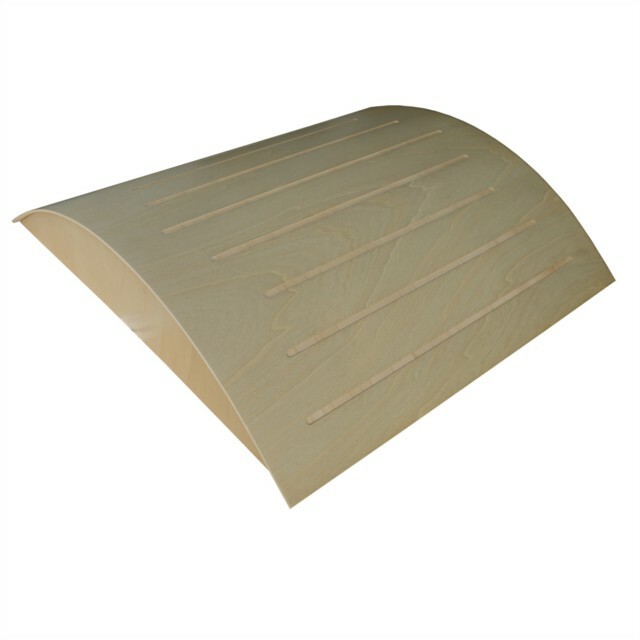 Vicoustic Poly Fuser – a 2’x2′, 5″ deep hemispherical poly that comes in wenge, white, nordik (a blond wood finish), cherry or light brown. Polys are great for use on sidewalls and they are acoustically ‘benign’ which means you can sit a lot closer to them than you can to QRD diffusors. 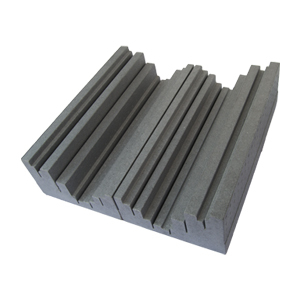 The Poly Fuser comes in a multi-unit box and the rear cavity is damped with a layer of acoustic foam for additional low-mid frequency absorption. – a 2’x2′, 6″ deep 1D QRD / poly diffusor hybrid. This is a very interesting product that is a QRD in one plane and a poly diffusor in the other. Available in black, white, light brown, nodik and cherry finishes. 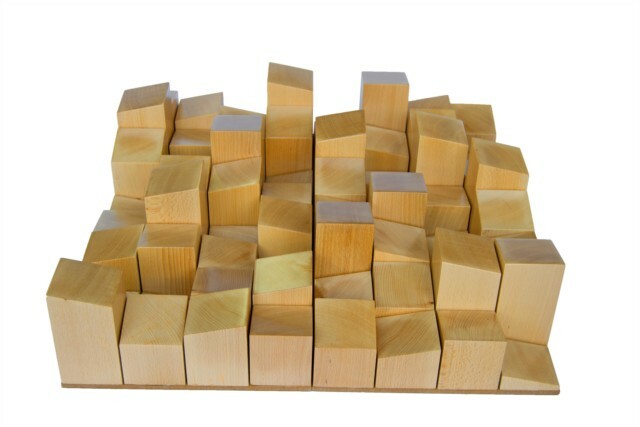 Vicoustic MultiFuser Wood 32 – a 2’x2′, 4″ deep, 2D QRD diffusor. This one is made from solid wood and comes in black, white or light brown. It comes in two 2’x1′ parts. These units look great, almost like a sculpture, and they work very well on the front wall between the speakers, next to the listening position on the side wall or on the rear walls. Vicoustic MultiFuser Wood 64 – a 2’x2′, 6″ deep version of the product above. Vicoustic’s products are available ex-stock and ship from a warehouse in Portland, Oregon. Shipping lead time is 3-5 days. At present we have only listed their diffusors on our website but we have full access to all of their products so if you see something on Vicoustic‘s site that looks interesting or you’d like to purchase please contact us. We’ll add more products as we cycle them through our demo and test facility to check them out and verify their performance. About the author: Nyal Mellor is founder of Acoustic Frontiers LLC. Our client’s hire us to improve their room acoustics through measurement based analysis and acoustic treatment design using a range of acoustic treatment products from Vicoustic, RPG, Primacoustic and Auralex. Contact us for help with your room! Saw the Vicoustic products at the T.H.E. show. Very nice looking and well priced. Great selection of colors, finishes, designs, etc. Yes I am very happy there is now another option in the USA for acoustic treatment. Vicoustic have some cool products that were lacking in the marketplace!